I have completed my first crochet project! Ok ok, I actually completed it ages and ages ago, but ‘ve been somewhat busy having a baby and trying to survive the Christmas rush (which rapidly turned into the January rush….) so I’m more than behind in all sorts of stuff. 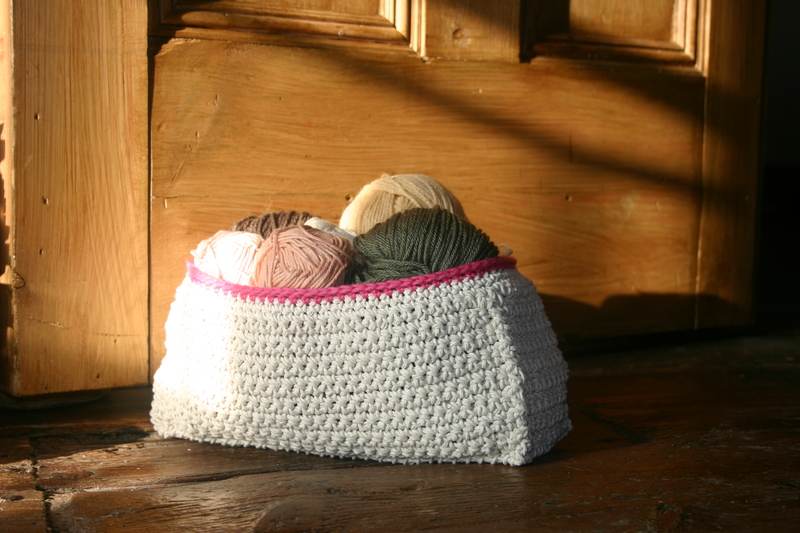 As we live in the middle of nowhere the basket sat around for a few weeks waiting for me to find a suitable yarn for the top edge. Yes, I know I could have always looked on-line but I wanted to touch and feel the yarn and make sure I got the right colour! I am really pleased with the results. There are plenty of mistakes and lessons to be learnt, but none the less I am pleased – what do you think?